My dad told many fond tales of his boyhood summers spent on the shore of Lake Michigan. It sounded wonderful – lakes, beaches and forests – right up my alley. So when my California cousins invited me to join them at the family home in Ludington, Michigan, I jumped at the chance. This is the third summer they’ve opened their home and their hearts to me, and I’ve loved every minute of the chance to spend time with family. And, like my father, grandfather and great-grandfather, I’ve fallen in love with Michigan! During my stay, I’ve taken full advantage of the opportunity to explore the natural areas on the Northwest coast of Michigan’s Lower Peninsula. Of course, I’ve taken enough pictures to fill a multitude of blog posts. So we’d better get started! 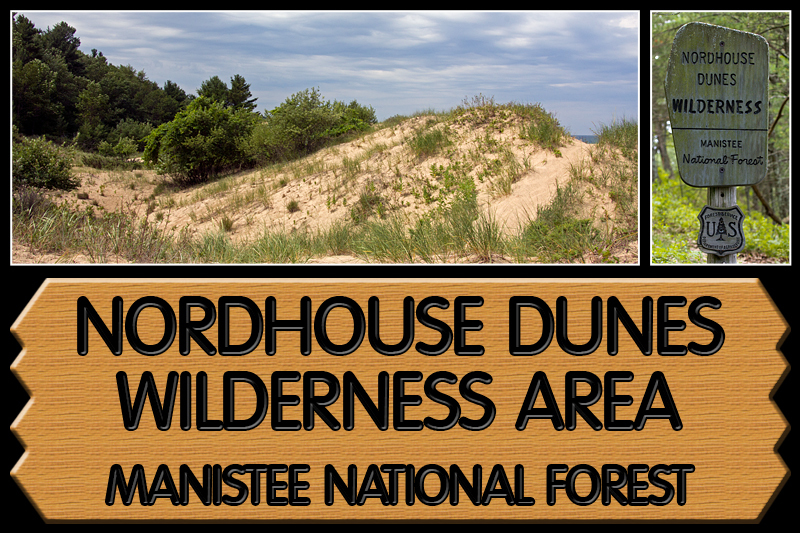 This was the first year I got to the Nordhouse Dunes Wilderness Area north of Ludington State Park and Hamlin Lake. 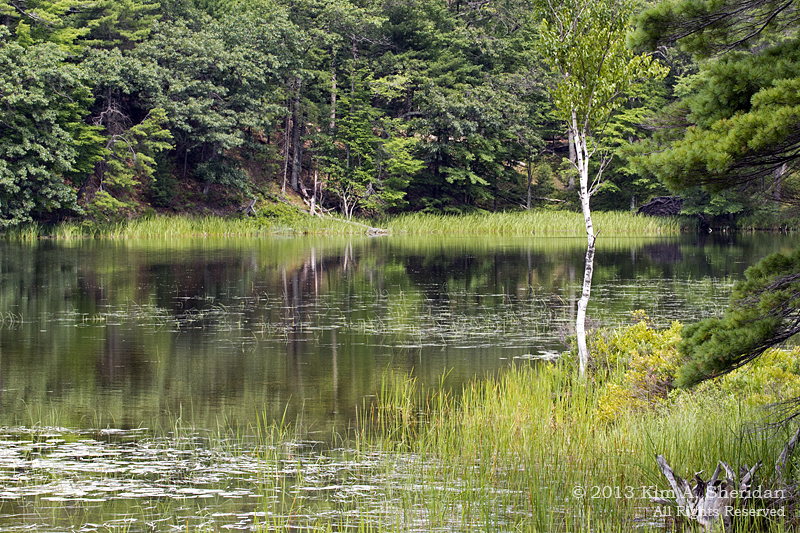 Lying within Manistee National Forest, the Lower Peninsula’s only federally designated Wilderness Area encompasses 3450 acres of forest, dunes and interdunal ponds and marshes. The dunes were formed nearly 4000 years ago and can range as high as 140 feet. 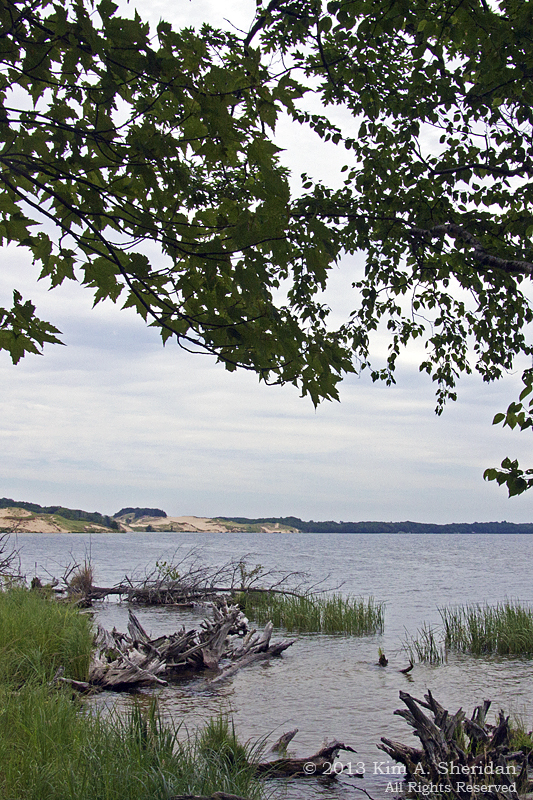 The Ludington Dunes Ecosystem has the largest area of fresh water interdunal ponds in the world. So why is it that every pond I’ve seen between the dunes in the last two years has been dry? 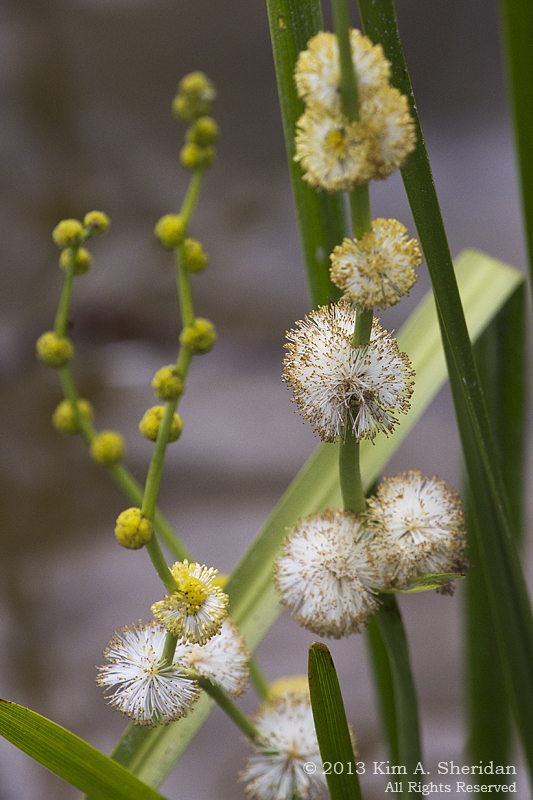 Drought has taken its toll, on the ponds and the critters that live in them. 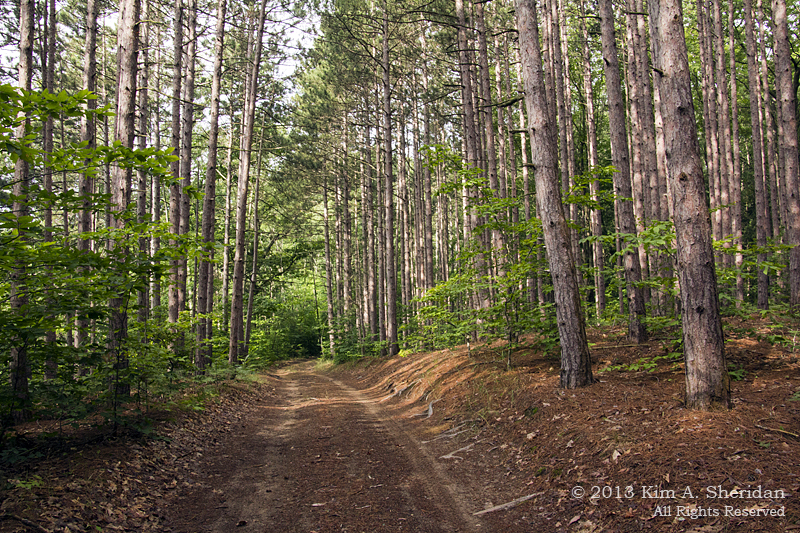 On the way to the trail-head, I drove through Manistee National Forest along a gravel and dirt road. 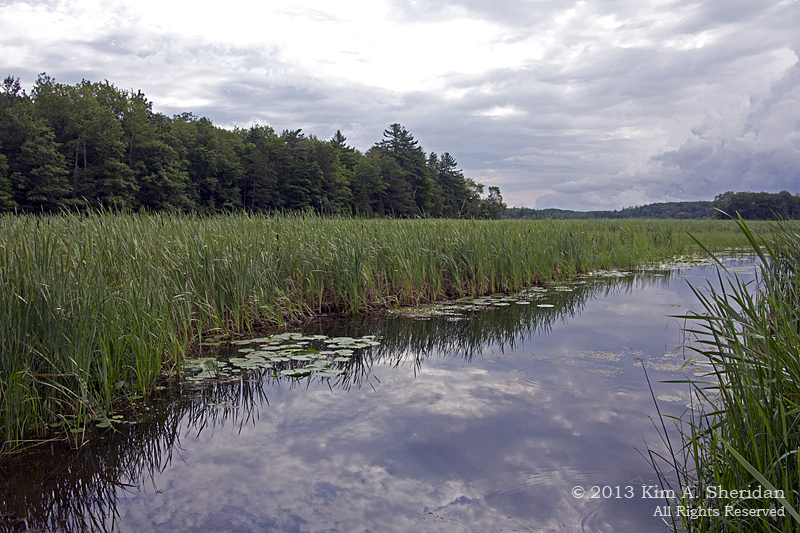 Along the way, I stopped to check out the marsh area of Hamlin Lake (above) and the pine woods surrounding it (below). Notice how the trees grow in straight rows close together. This is a pine plantation, an area of pines planted for reforestation after the original trees were cleared in the logging boom of the late 1800s. Naturally-growing forests don’t look like this. 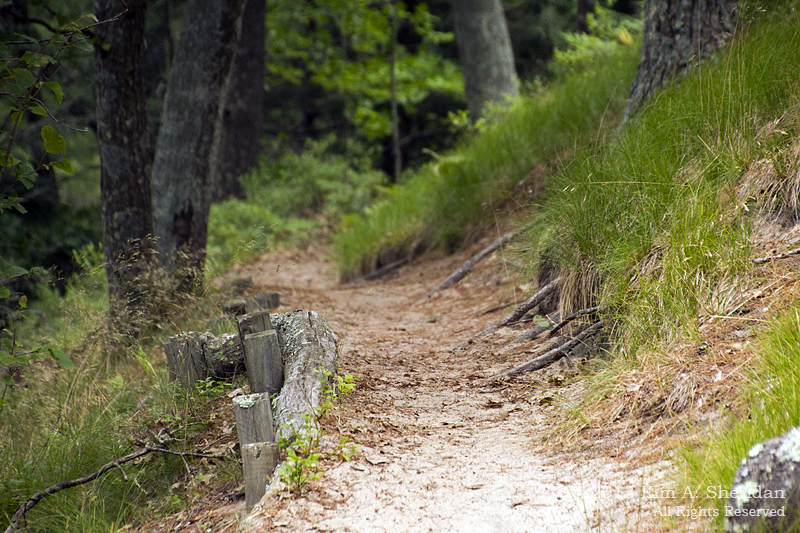 The trails through the Wilderness Area are legion, and as they say, “minimally signed.” Meaning, there are NO markers. Navigation even with a map is tough, as there are numerous social trails and wildlife paths not shown on the map. I tried to take the one trail that had trail markers, only to come to an intersection of four trails where the only marker pointed back the way I came! So, I obeyed it, and went back the way I came. Never let it be said I don’t do what I’m told. 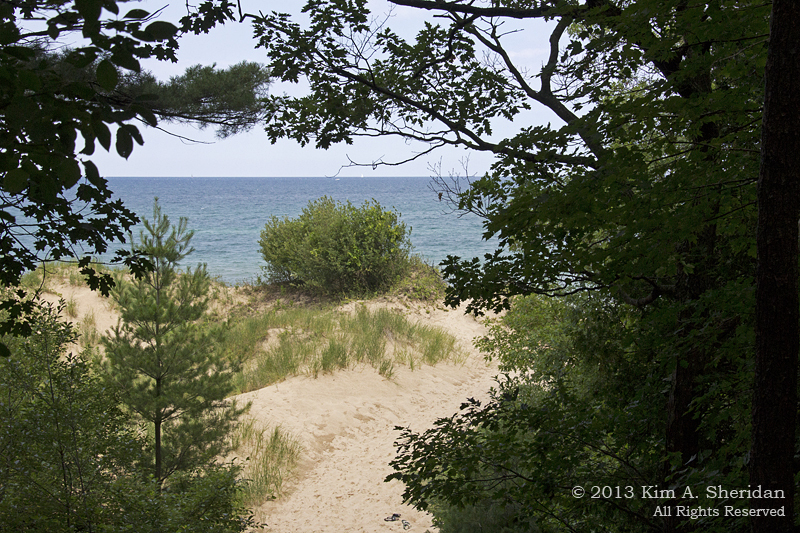 Most of my hike went along a trail that paralleled Lake Michigan, along a wooded ridge above the lake. This was easy to follow without getting lost, and offered some great “peek-a-boo” views of Lake Michigan (above). 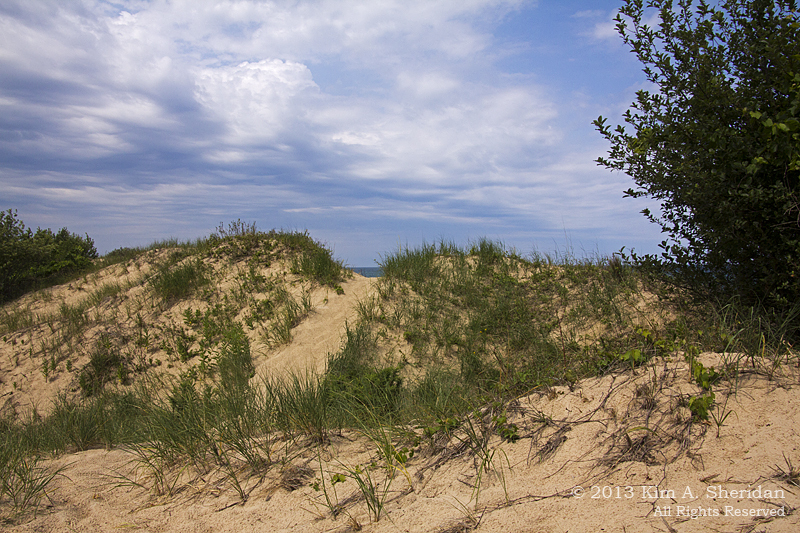 At the edge of the trail, the side of the ridge dropped steeply away to the dunes 100 feet below. Not the place to search the treetops for birds while you are walking! 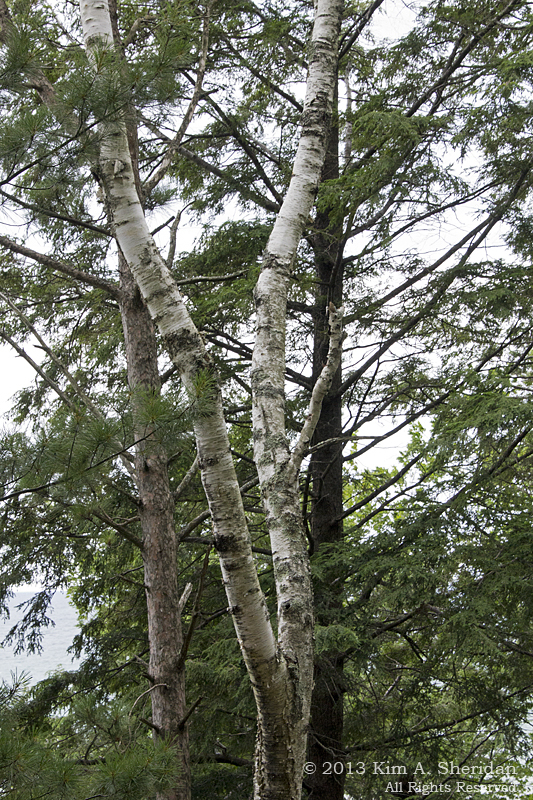 Birch trees are numerous among the hemlock, beech, maple and pine trees of the forest. 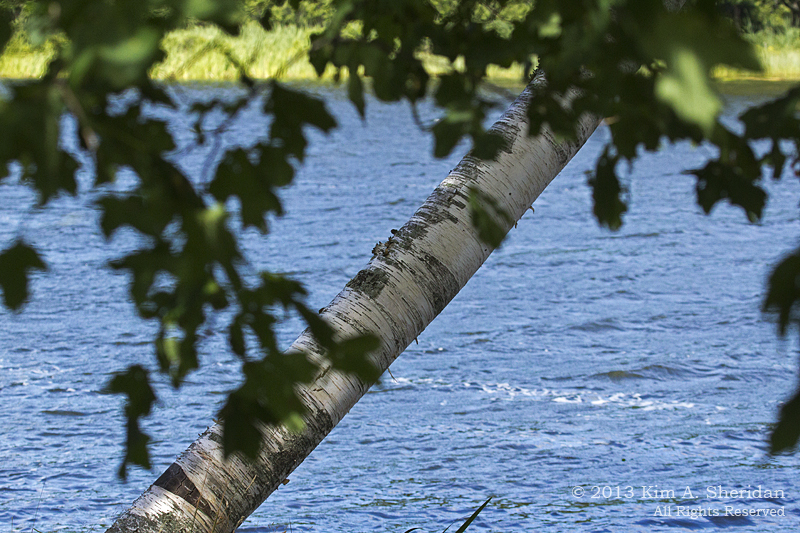 Birches are my all-time favorite tree; I can’t resist photographing their beautiful white trunks again and again. 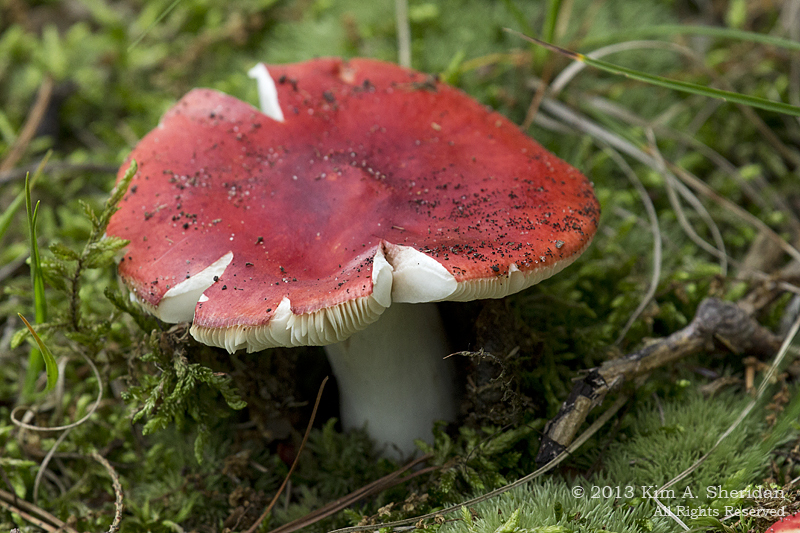 I’m sure I saw a tiny fairy peek out from under the cap of this mushroom. Didn’t you? 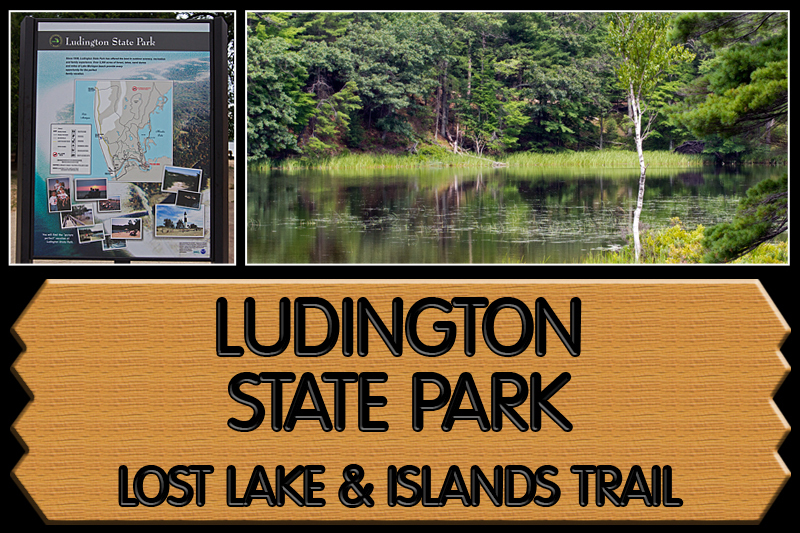 Ludington State Park is nearly 5300 acres of sand dunes, ponds, wetlands and forests on a strip of land between Lake Michigan to the west and Hamlin Lake to the east. It’s a popular place for boating, fishing, swimming and camping. The black and white striped Big Sable Lighthouse stands guard at Big Sable Point and offers a wonderful view of the dunes, woods and lakes to those who climb it, as I did last year. The eight trails winding through the varied habitats of the Park are what keep drawing me back year after year. 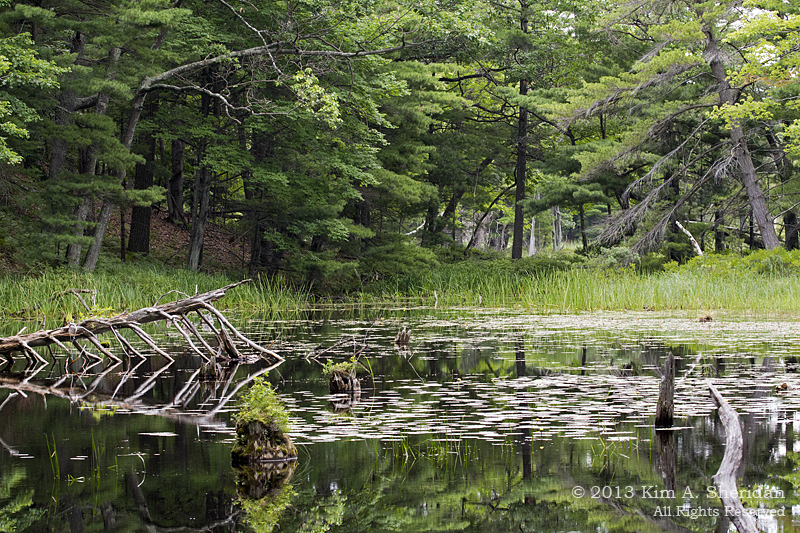 This year I tackled the Lost Lake and Island Trail, which follows a wooded sand dune ridge along Lost Lake before turning toward Hamlin Lake and returning through marshlands over a series of small islands. Lost Lake (above) and water lily (below). 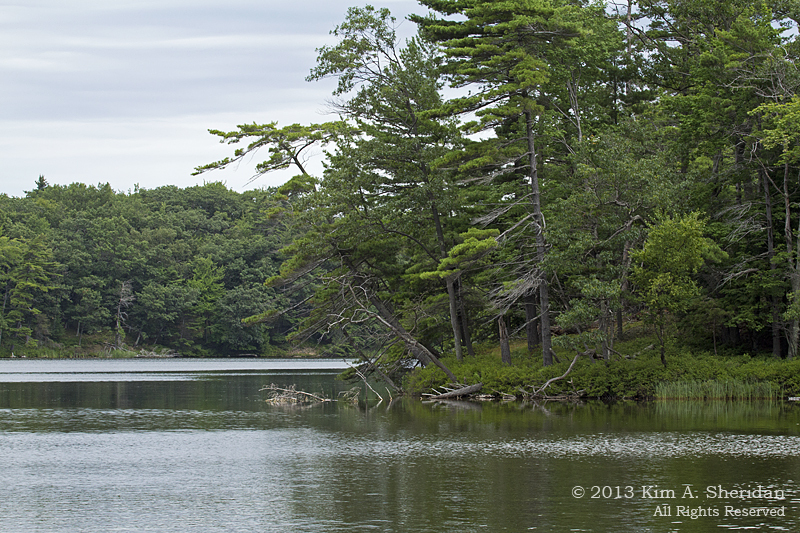 Hamlin Lake is man-made, created in 1856 as a holding pond for logs awaiting processing at Charles Mears’ sawmill. Subsequent dam collapses wiped out the village of Hamlin, and the lumber mill closed. But the lake was becoming popular for recreation, and a new dam was built in 1914. 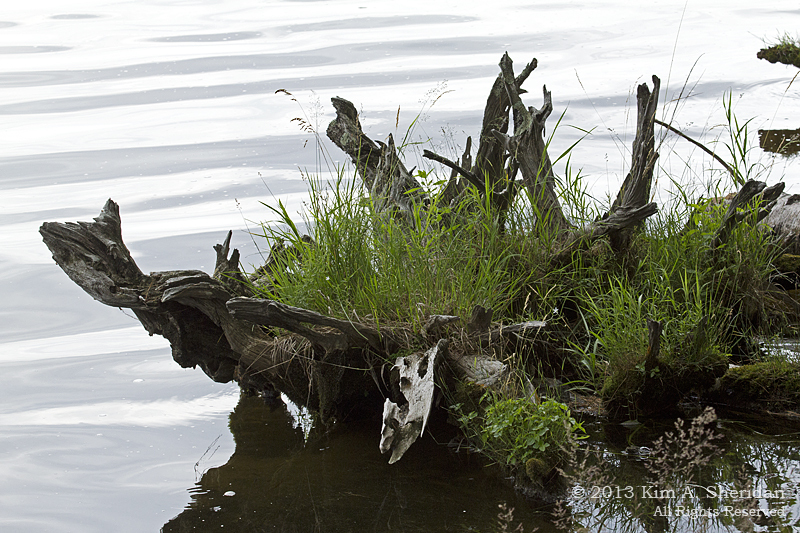 The shoreline is dotted with old tree stumps, often with grass or tiny trees growing on them (above). Nature’s version of gardening in miniature. It amazes me where things will grow. Sand dunes line the shore of the Hamlin Lake (right). See? I can’t resist birch trees. Here’s why – white tree, green leaves, blue water. Can’t you just feel the breeze brushing your face here in the shade? This entry was posted in Michigan, Nature and tagged Flowers Trees & Shrubs, Ludington State Park, Manistee National Forest, Michigan, Nature, Nordhouse Dunes Wilderness Area by Kim. Bookmark the permalink.